As a small business owner, you get at least three calls a day from different SEO services. Everyone makes the same claim, “top rankings on Google for your business”. Hell, I am sure you have even used one or more these SEO companies and always had the same result, nothing! This is a common frustration amongst small business owners throughout the United States and Canada. Most businesses have been trying for years just to get some exposure in their local area. 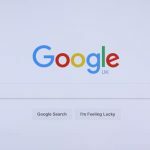 Search engine optimization isn’t easy, and it takes months, and sometimes years to pick up more competitive keywords in many areas. 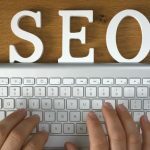 When you are out searching for small business SEO services, how do you know if it is going to work or not? This is the million dollar question, right? Well, I am going to give you a few pointers to help you with this process. I know, you are thinking why would an owner of an SEO company give me advice on how to choose the right SEO service for your company. Believe it or not, whether you choose to do business with my company or another SEO marketing company, I want you to have success. I want the other company to do it right, get you what you want, and help you grow your business! Having a bunch of hacks in our industry only makes my job harder. Who are their clients? 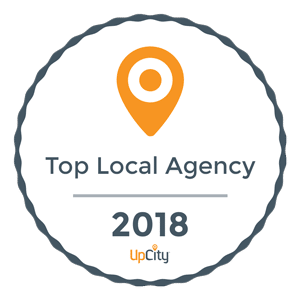 Can they show you examples of at least three clients that they are working with that have achieved the top ranking results? As an SEO Company, surely they are trying to rank their website for certain keywords, right- both locally and nationally. Find out their keywords and do the searches yourself. Are they ranking? How does their profile look? Do you see any discrepancies? Do they answer their phone when you call? Sounds funny, right? Most marketing companies have auto attendants (even ourselves), but we always try and make a point of answering our phone if someone is available. Your website, 99% of the time, will need to be updated to get better rankings, to say the least. Content and mobility will need to be added. If the company you are working with is only working with your Google page, chances are nothing good is going to come out of that service! Make sure you read the reviews! You know as a business owner, good reviews are much harder to get than bad ones! My company has a few bad reviews, and I will tell you a couple are deserved. We didn’t deliver what the client wanted; it happens, but when it comes to SEO, many times it just takes more time than anticipated. I will tell you, as of Oct 2017, we have completed over 1000 campaigns and have over 300 monthly clients. So, a few bad reviews are understandable and very rarely have I ever lost a client that I wanted! Small business SEO services are all different. Those of us that offer real SEO all have our special ways of doing things. We can have two different ways of getting your company to those top listings, the only thing that matters is that you are there! The good news is all the progress that you have made can be tracked weekly or monthly; however, you want to see it. Weekly is typically an overload because your listing can jump around a bit, especially when we first get started moving the needle. As a small business in today’s digital environment, you will need a good SEO service at the bare minimum. To be honest, to really compete for market share in a local area, you will need a full-service digital marketing agency. Nowadays, every digital marketing channel has become important to help grow your business. Whether it is Google or Bing Adwords advertising, Facebook advertising, or any other form of digital marketing, it has become a necessity for a small business’s survival.